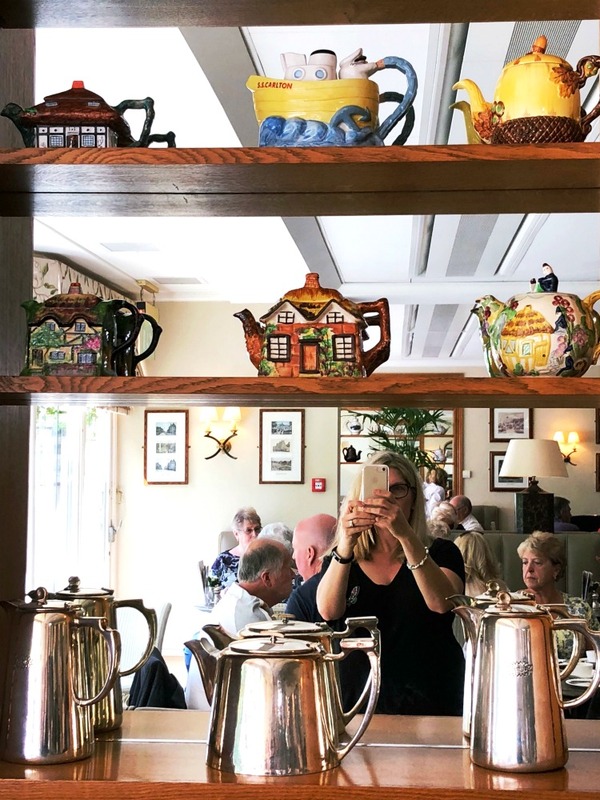 On my recent trip to the motherland, I just couldn’t get enough of the great British tearoom. 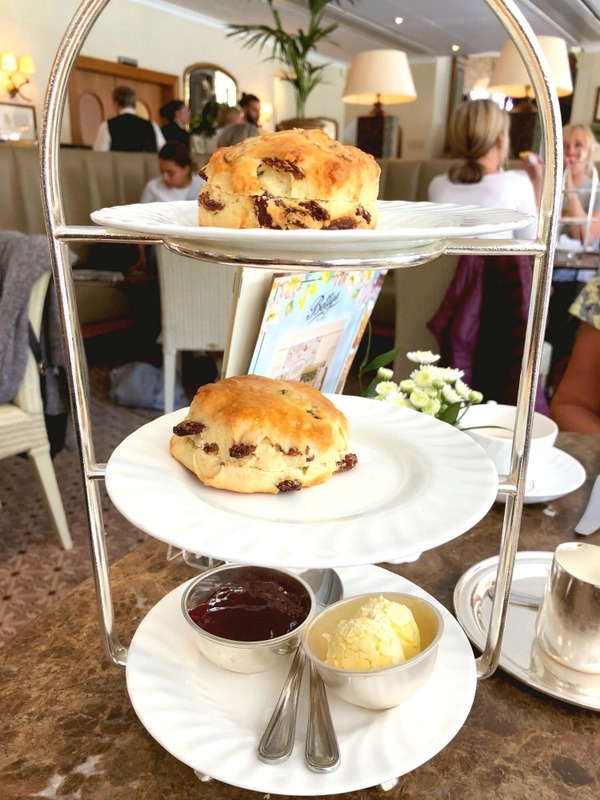 We had such a jolly time in the North East but when Maureen, my mum-in-law suggested a day out in Harrogate, I was all over it… Because Betty’s Tearoom! There was the slight technical hitch of the four hour round trip but Bryan was happy to take it all in his strive, or should I say all in his drive! 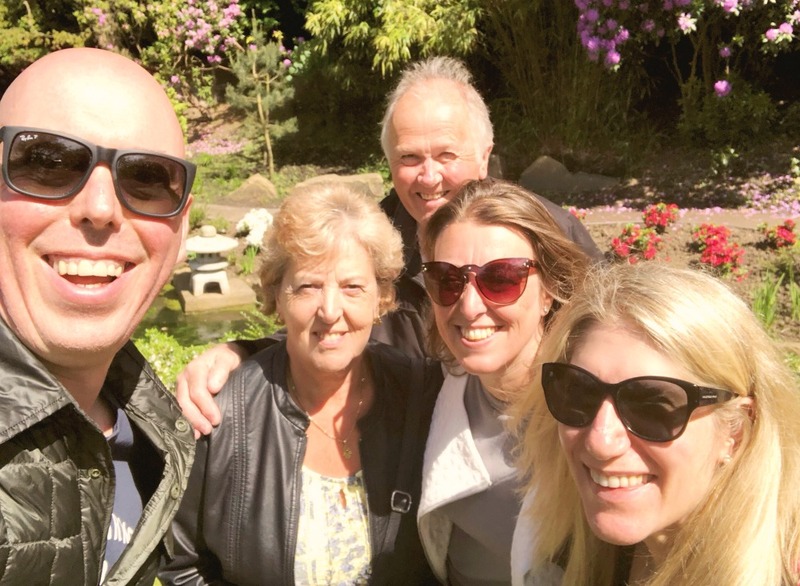 So that’s how one sunny Tuesday, me, David, his folks and his sister Jen pile in to the car for bonhomie at Betty’s. The queues here are legendary – on busy weekends they can snake around the block – and I don’t want to take any chances. 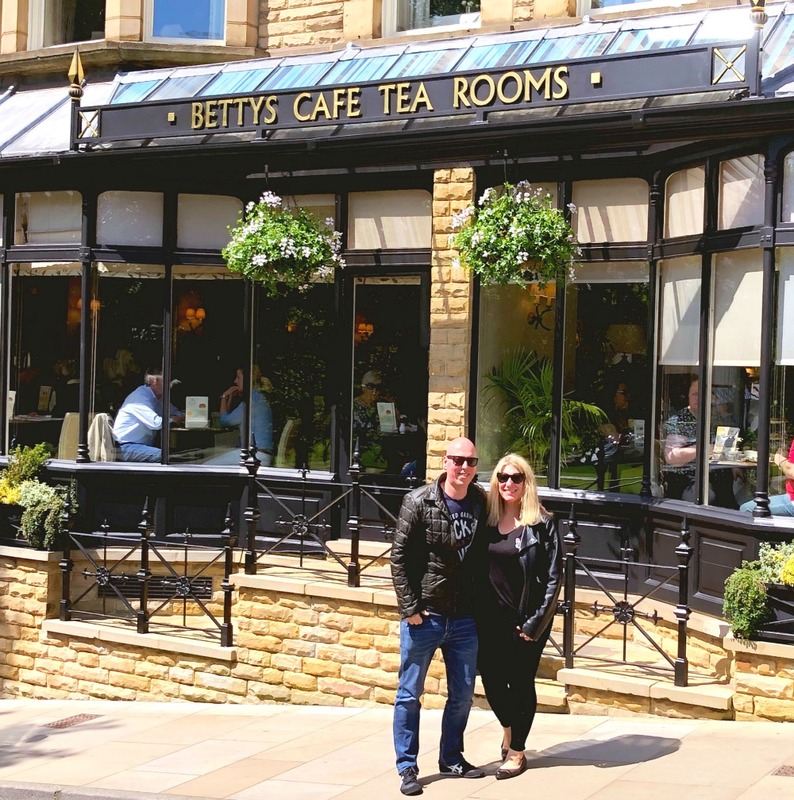 Betty’s in my number one thing to see, eat and do in Harrogate so we hot foot it straight there. We needn’t have worried as there’s no queue and we stroll right in. At first, we’re seated downstairs in the lower dining room which is freezing and not my favourite. After a quiet word with the waiter, Jen scores us a table in the main tea salon which is light, bright and a lot more like it. Becky is our server and is just about as sweet as the treats she serves. When I go to a restaurant or cafe I always ask “what’s good here?” but then it can get a bit awkward when they tell me what’s good but I choose whatever I want anyway. What can I say? I know my own mind! I could totally get used to having scones for lunch. Then we have the pressing matter of dessert to attend to. 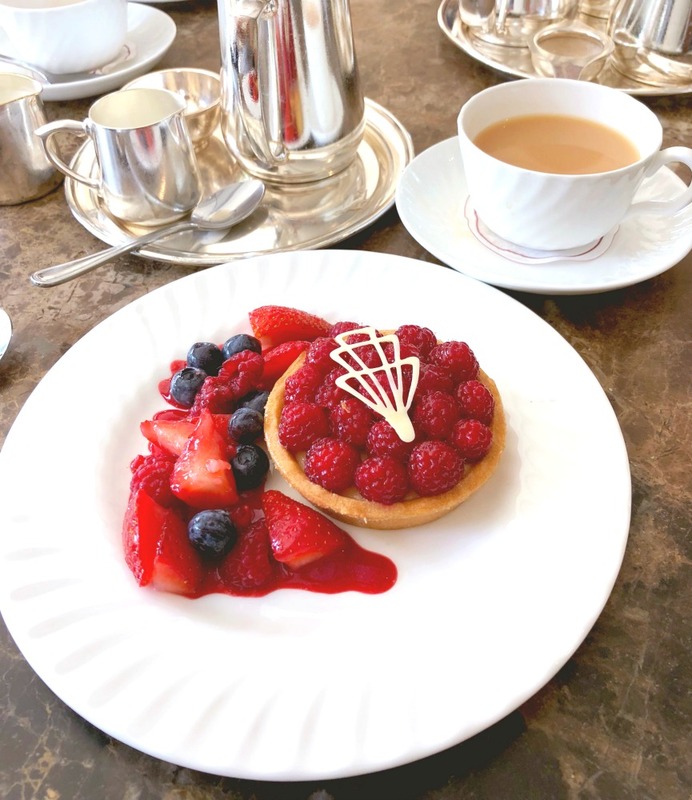 Bryan chooses this delightful Berry Frangipane from the cake trolley which did indeed look tempting. 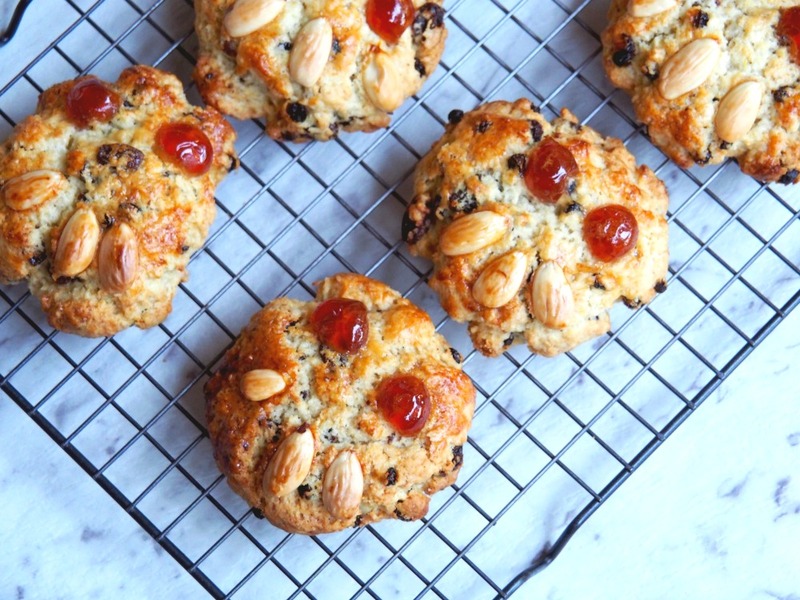 But I only have eyes for the Fat Rascal. 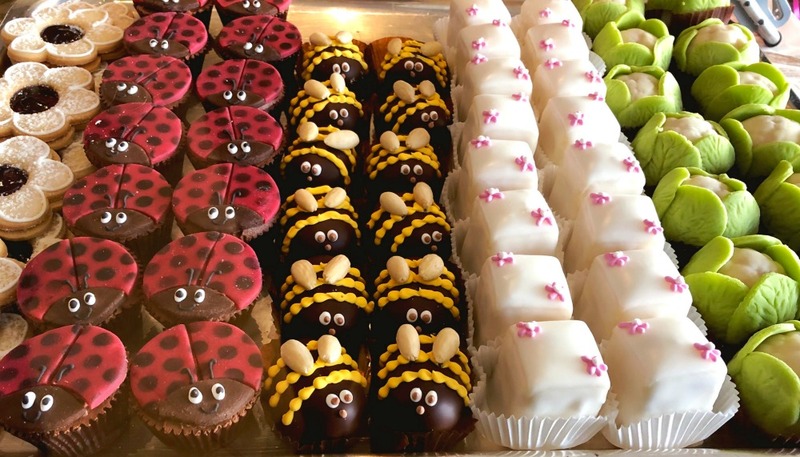 I have long been obsessed with these teatime treats. 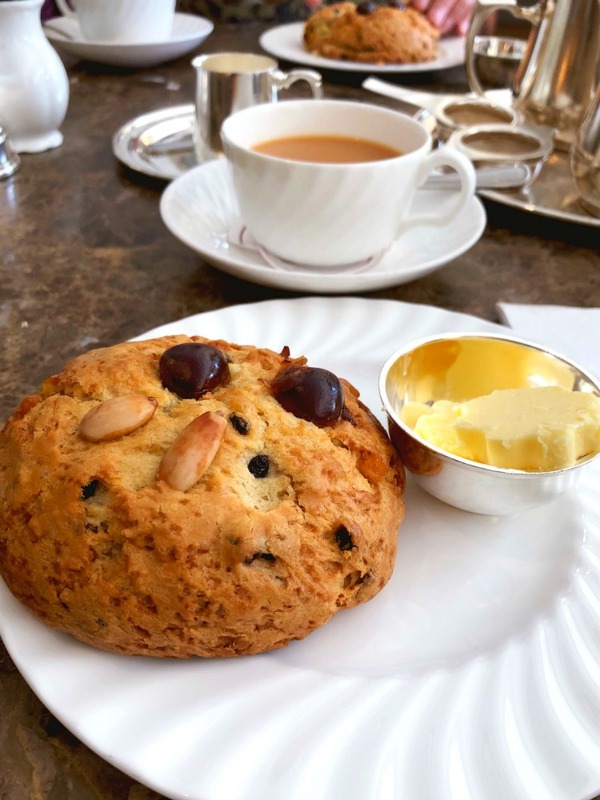 Fat Rascals are Yorkshire baked and bred and were first introduced at Betty’s in 1983. According to Wikipedia they quickly became Betty’s best known and best selling product, selling over 375,000 rascals every year! Not surprising then, that every time I tell anyone who will listen that I am headed for Betty’s, they always say “Oh, you must try a Fat Rascal!” Of course, I can’t bear to let them down! 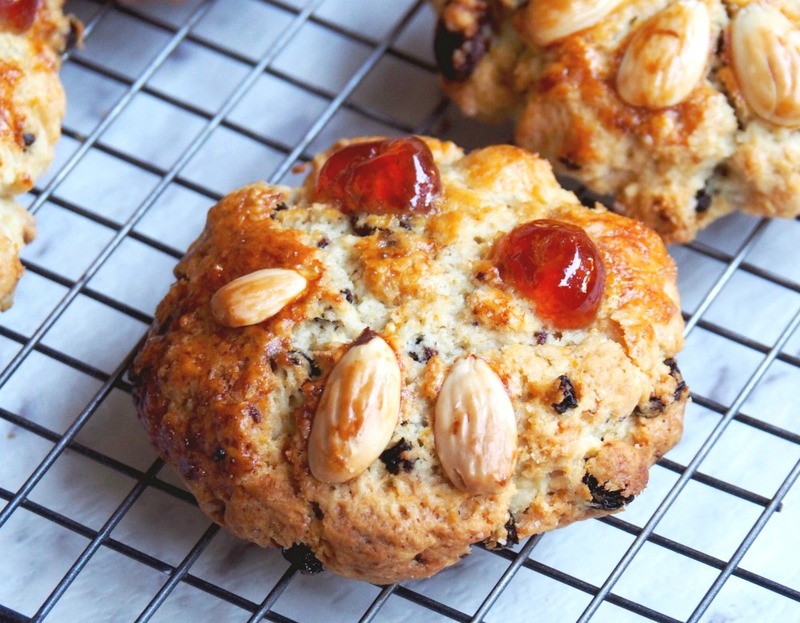 Well I’m a solutions driven kind of gal so I promise myself that if I can’t ship Fat Rascals down under, I’ll jolly well have to make them down under! 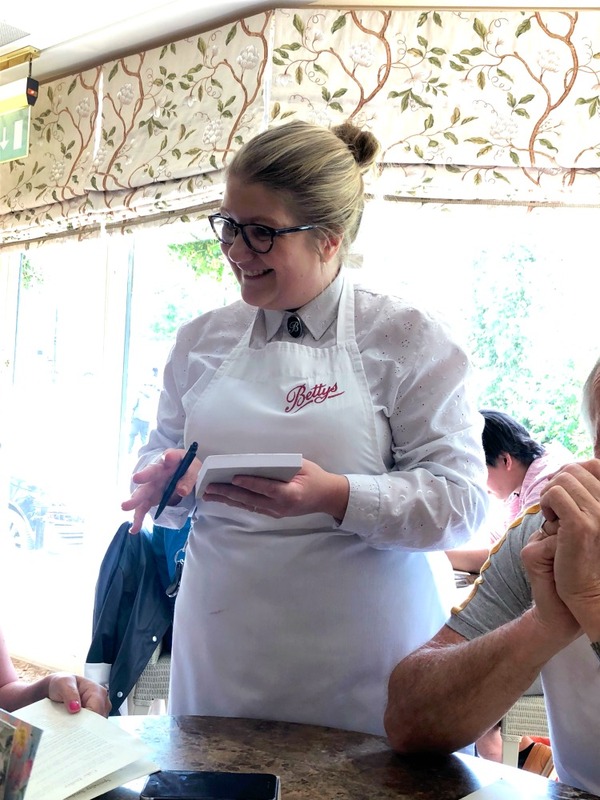 Now, there are a few different recipes on the interwebs but obviously the people at Betty’s are keeping the original recipe under their hats. Some recipes use ingredients I’m not fond of like lard and mixed peel, so I’ve swapped them for ingredients I am fond of, like butter and the zest of real fruit. And of course, I’ve thermified the recipe, although I have to say, this recipe is easy peasy with or without a Thermomix. 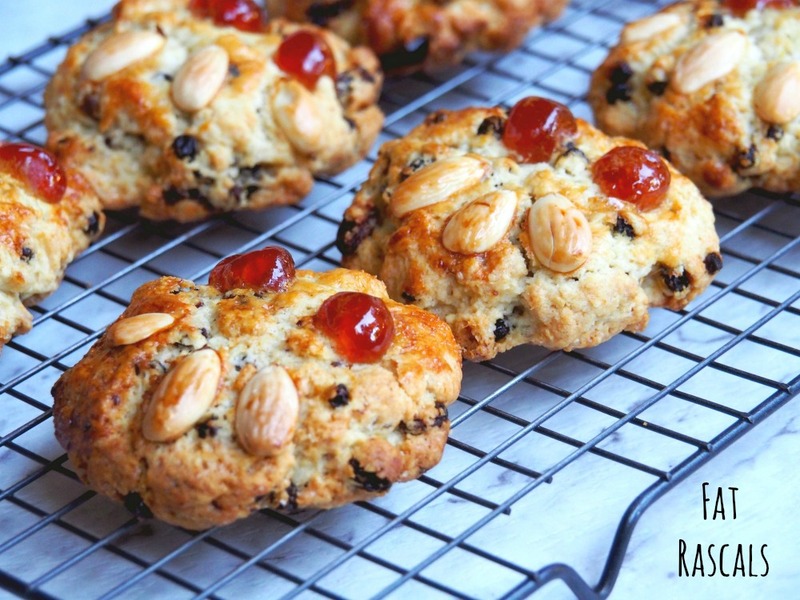 Even though I’m 47 I still like to play with my food and so I’ve my Fat Rascals have funny faces but if you want to be a little more restrained, you can decorate your Fat Rascals just like Betty’s or as you see fit! Although these are best devoured warm from the oven, these will keep for up to four days in an airtight container, if you can resist them that is! 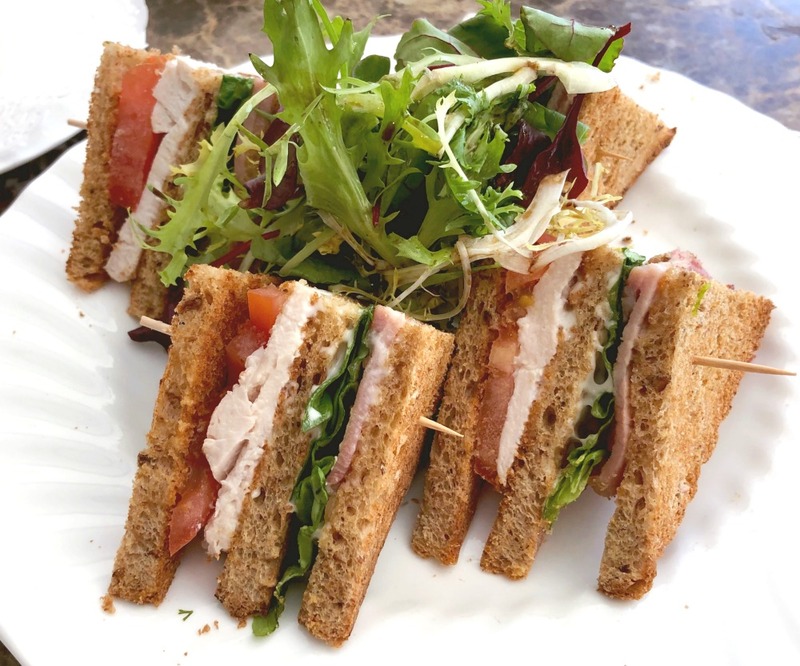 So here’s the recipe bringing a little bit of Yorkshire and a whole lot of delicious in to your kitchen… Wherever you are in the world! Rub the butter in to the flour and baking powder until it resembles breadcrumbs. Alternatively, place in a food processor and pulse to combine. Add the sugar and stir through or pulse again in the food processor. Stir through the zests and dried fruit. Add the cream and mix until until you have a stiff paste. Bring the dough together on a lightly floured board and divide it in to ten equal portions, rolling each one into a ball. Arrange the balls on the baking trays, pressing down gently on each one and then brushing generously with the beaten egg. 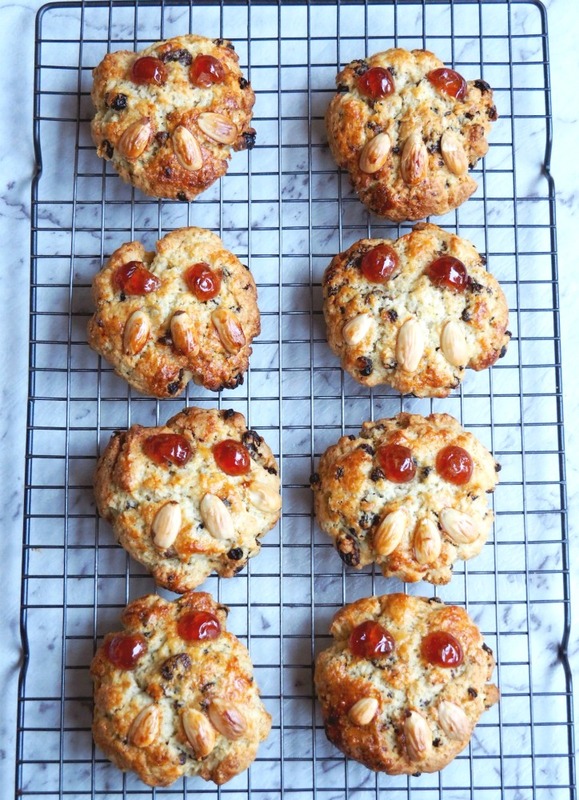 Decorate with cherries and almonds to make a face; two cherry halves for the eyes and three almonds for that toothy grin! 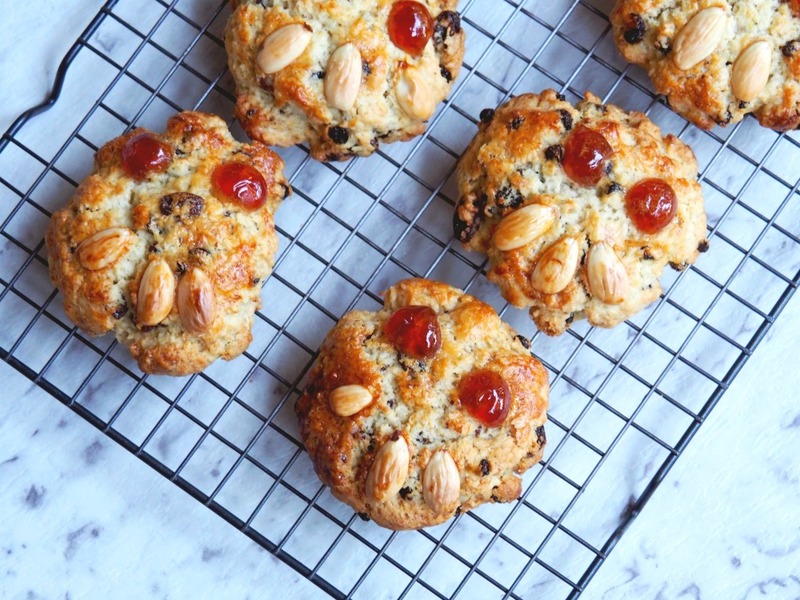 Press the almonds and cherries into the dough gently – you don’t want them to fall out when baking! Bake for 15-20 minutes until they are risen and golden brown. Allow to cool on rack. Place butter, flour, baking powder and sugar in TM bowl. Mix for 10 seconds on speed 4. Add zests, sour cream and dried fruit and mix for 10 seconds on reverse speed 4 or until you have a stiff paste.